What You'll Need: scriptures, GAB 55/GAK 226: Jesus Washing the Apostles’ Feet, printed chore charts, coloring tools, stickers. Quote: Jeremiah 31:16 - Thy work shall be rewarded, saith the Lord. As part of His plan, Heavenly Father gave us bodies. He has told us that we should use our bodies to work hard. Working hard helps us to be happy because it helps us reach our goals, helps us serve others and makes us feel proud of the things we accomplish. Though some may see work as something to avoid, the gospel teaches that working for and with our families brings great blessings. God Himself calls His plan for His children “my work and my glory” (Moses 1:39). Heavenly Father has asked parents to teach their children the importance of hard work. Building a strong family takes hard work, and part of that work is teaching our children how to work. L. Tom Perry said, "Teaching children the joy of honest labor is one of the greatest of all gifts you can bestow upon them.”. - How do you feel about work? - Why do you think hard work is important? - How do you think we can make work more fun within our family? When Jesus was on the earth he called 12 men to be his Apostles. He needed help accomplishing all the work he had to do. The apostles helped Jesus Christ share the message of his gospel and accomplish other tasks. 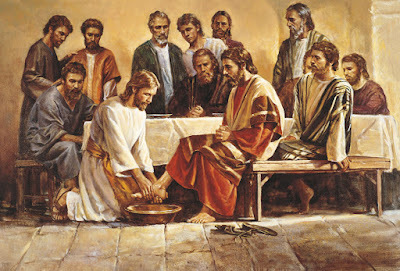 He served them by washing their feet and told them they should also serve others through tasks. One of our Latter-day Prophets, Brigham Young, said, "If you work hard, you'll be happy..."
We need to work hard and do our best at home, at school, at sports, in learning instruments and in every part of our lives. Working hard will help us reach our goals and feel good about ourselves. - What was a time you worked hard to accomplish something? - How did you feel when you were finished? We can work hard no matter how old we are. 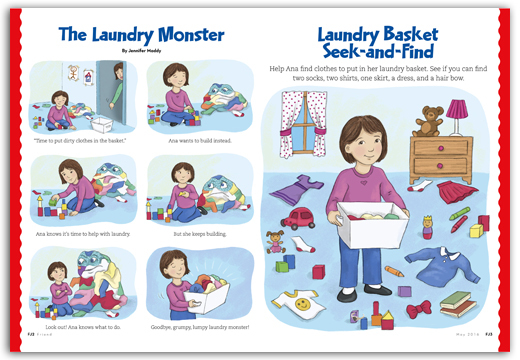 Toddlers can learn to put away toys when they are finished playing with them. Children can help set the table and keep their rooms clean. Older kids and teenagers can help with family tasks and household chores. Parents go to work at a job and also keep the home in order with the help of their children. We can all find good work to do to help make our families, homes and the world a better place. When we work hard we feel happy, we can accomplish great things and, most importantly, we learn to be more like Heavenly Father and our Savior. They worked hard. When we work hard we can become more like them. If you do not already have it in place, establish personal and family chores for each member of the family. For a list of appropriate chores for each age CLICK HERE. 2. 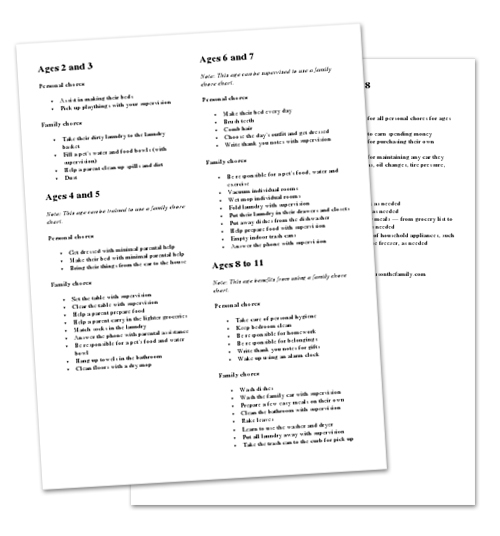 Draw pictures of your child’s chores and some favorite activities on a sheet of paper. Slide it into a plastic page protector. With a non-permanent marker, children can cross off chores and circle an activity to do after. 3. Instead of saying, “No painting until after you clear your dishes from the table,” try saying, “After you clear your dishes, then I will get your paints out.” This small change in wording helps young children see their choice more clearly. 4. If your child still resists, allow natural consequences. For example, when toys are left on the floor, they can get lost or broken. It can be hard to allow consequences to upset your child. Remember that following through teaches children the eternal law of the harvest (see Galatians 6). Make sure to discuss possible rewards for completing chores (this is totally up to you). However, every family should establish clear and logical consequences for not completing chores. Bear your testimony about the blessings that come from working hard and the satisfaction it brings, even when it's hard to start a new task. 1. Print for each family member. 2. Have them decorate with crayons, markers or stickers. 3. Hang in prominent area and enforce chore rules for the next two weeks. 4. After two weeks you may choose to re-assess chore expectations and revise them. This could not have come at a better time for our family. My almost 4 year old has been doing small chores for awhile but I really wanted to do something consistent with her. This is perfect, and so glad to have the lesson to go with it. Thank you so much! This is exactly what I needed for my family this week! We need to start working together so that we all have more fun time after the work is done! Thanks! Thank you for the lesson plan! I love how there aren't coincidences, just plain spiritual guidance! We needed this lesson as a family, I so appreciate the post on all the FHE lessons. I know I will be back. We didn't do the chore chart but we talked about hard work and how it's important. I was SO proud of Todd. He told us that when we work hard we can be proud of ourselves! Had to share that. I just downloaded this lesson tonight for fhe. 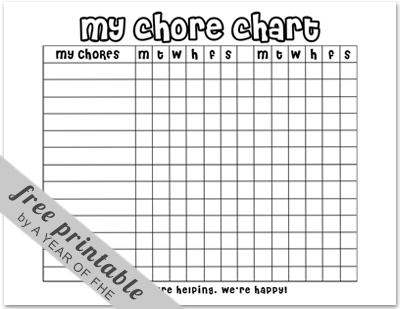 I'm excited for my kiddos to start using the chore charts! Thanks so much! It is no doubt how inspired you are with these lessons. They come at the perfect time in our life. My kids are young and rarely sit for more than a couple minutes, but I keep trying. Thank you so much for this lesson. This is just what I need for my family right now...our chore system has been broken for a while and things are REALLY going downhill! As a new mom trying to start FHE I am so thankful for your hard work! I love how you have included the appropriate song, GAB, and your own work. Such a great example of a complete FHE. Thank You for sharing your talents with us! Thanks for the complete lesson with the chore chart. This is perfect as we near the beginning of summer break and need a little jumpstart on summer chores and routines. Thanks for compiling it in a nice, formatted pdf! Love the blog!! Sure appreciate your generosity in sharing!!!! Thank you so much for sharing your wonderful work. I believe this lesson is just what my family needs. Much of our FHE happenings are attributed to these lessons. Thanks for the great ideas. We were able to finally come up with some age appropriate chores. Thanks for sharing. I like the tie in of work and service. We have established chores, but want to help the kids catch a vision of personal spiritual benefits to work. Thank you for creating a lesson that explains the spiritual side of this practical part of life. Thank you- we needed this one today! Thanks again for your awesome lessons. Another FHE success! Printed this lesson out for tonight's FHE! I searched google for this topic and this lesson is perfect. Thanks! We have had our kids doing chores for a few years now, but this summer I have been hearing a lot of complaining about chores, so it was very timely to have this lesson and revisit why we work hard and make a fun chore chart to get us back on track! Thanks! Fabulous idea! I think that teaching children the value of hard work is difficult. Most children (and many adults) despise work. Thank you! Thank you! I love how you show the spiritual foundation of hard work--I'm hoping this lesson will help our family chores function a little better!